Love handles sneak up on guys. It seems like you never notice them, until one day...before you are due to head out to a pool party, or meet some girls at he beach...you see them sitting on the edges of your jeans. Love handles are nothing more than excess fat, but they are difficult to lose and haunt us every time we look in the mirror. To make things worse, women see love handles as a product of no self-discipline and laziness. They look at guys with excess flab as having low energy...and no staying power. While that perception may be way off the mark, that's what you are fighting. The good news is, you can lose love handles with focused effort on your diet and working out more intelligently. Nobody wants to look like this. Chicks make things worse because they've grown up looking at Olympic athletes, soccer players, and Hollywood stars who are lean and defined. That's their idea of a great body. They could care less about guys with massive shoulders, pecs, and thighs. Fortunately, you can lose male belly fat and build lean muscle by adhering to a sound fat loss program built around better nutrition, intelligent weight raining, and structured cardio. * First, you must commit to reality...in your thinking, in your workouts, in your expectations. * It took time for you to develop love handles, and it will take time (and effort) to get rid of them. * The idea that you can lose love handles with supplements and protein shakes, while eating your favorite foods is pure nonsense. Lots of websites promise it...but they are just taking your money. * The key to getting rid of love handles is creating a calorie deficit, meaning you are burning more calories than you are taking in. * To establish a calorie-deficit you must start making far better food choices. Drop sugared foods and drinks. Start easing away from processed foods. Start restricting beer and pizza/wings. * You will need to engage in activity/cardio everyday...building your strength until you can include interval workouts. 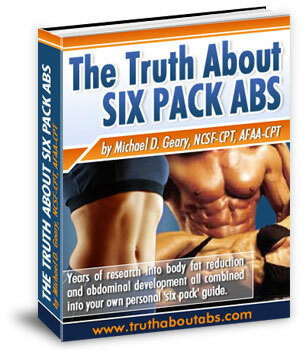 The Truth About Six pack Abs has become the best-selling abdominal program on the Internet. It is straight forward, it focuses on male fat loss/building lean muscle, and it has gotten results for 1000's of guys in the past five years. Author, Mike Geary, provides you the same program he used to burn belly fat, build lean muscle mass, and get rid of love handles. * You will be expected to commit to knowing EXACTLY what you put in your mouth. * You will be expected to know what situations sabotage your fat loss goals. * You will be expected to commit to a weight training program that focuses on building strength and lean muscle. * You will be expected to commit to regular and intelligent cardio. Not mindless walking on the treadmill. The Truth About Six Pack Abs is a step-by-step guide to getting rid of love handles. It comes with a 60-day 100% refund. 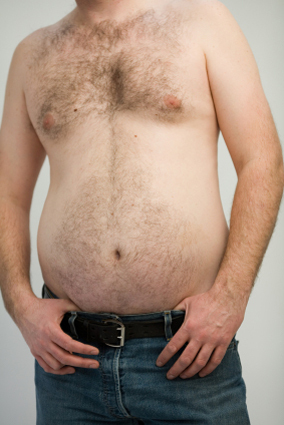 Yes, it will take some time to lose your love handles, but it will be well worth it when you take off your shirt several months from now in front of a group of women.